The video installation Remake: Le Madison presents the live recording of the performance Le Madison on July 1st, 2009 at Kunstraum W139 in Amsterdam. 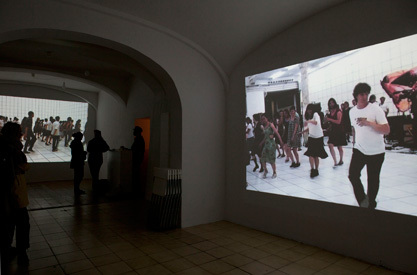 For this intervention, participants responded to a call in newspapers and on the internet to perform a group dance (which refers to a dance scene in Jean-Luc Godards film Bande à part) at the art institution W139. The dancing steps could be rehearsed with YouTube Lectures (Le Madison Lessons 1 - 3) ahead of the performance. 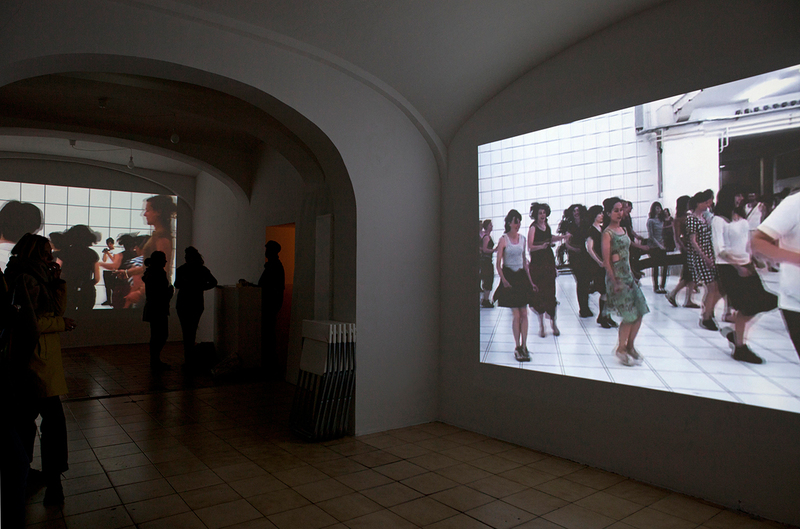 The collaborative dance project was recorded by multiple cameras and will be screened in Remake: Le Madison in a 2-channel-projection.